Poodleism: New Award - THANKS! 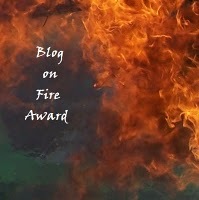 I got a super sweet new award from precious Christina over at Christina's Pop Life... Go read her blog, like now. It's good. 1. I'm left handed. Not just a lefty, but extremely disabled when it comes to my right hand. Nobody in my family is left handed and I maintain it's because I'm special...or weird. They'd say weird. One thing that's interesting about left-handedness is that people notice it all the time. Like when I check out somewhere or sign a receipt...I don't even sort of notice what hand people use. I guess it's just that freaky to most people. I like it because I don't think I have that much that makes me unique. 2. I put balsamic vinegar on way too many things. Pasta, pizza, sandwich, sometimes potato chips. I don't know what about the salty bitterness that I crave, but I can't get enough. I think I'm going to be a weird preganant eater. 3. Everyone I know is getting married and I'm jealous of the registry more than any of it. Mommy wants a table mixer more than she wants a soul mate. Is that so wrong? 4. I've been known to watch old girly movies when I'm by myself. This weekend? Steel Magolias. I cannot freaking get enough of those Louisianan firecrackers. My favorite has to be Truvy. 5. Me and roommate go on puppy binges. Occasionally we get lost (for hours) in Petfinder.com looking for the next addition to our household. Just as soon as I find a perfect one the prince usually barks or throws up or does soemthing that reminds me I have my hands pretty full with that handsome little furbaby. I recently found my dream poodle and had half a mind do drive straight to Arizona to get it. Dumb idea. Another poodle - WANT. I promptly push these ideas out of my head by staying out (and sleeping) extremely late on the weekends. ....and it's fun. Really fun. Thanks again so much for the sweet award Christina! Millions of hearts and sparkles and love to you! And puppies, who doesn't love puppies! 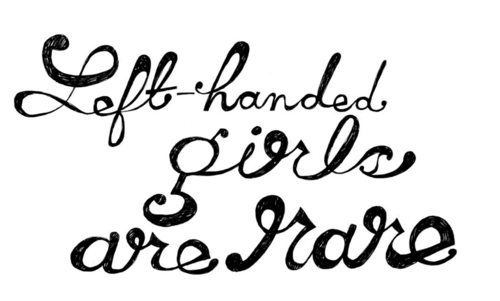 Im left handed too, so is my sister. 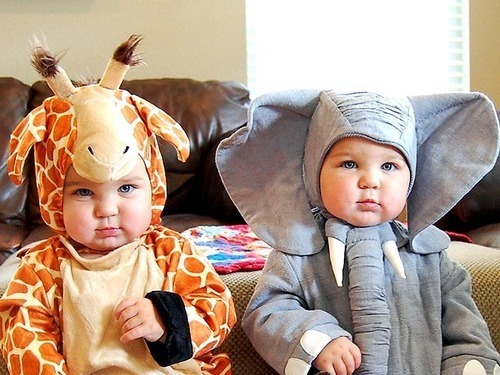 Love the baby costumes. I'm so jealous of people who are dressing their babies up this year. My daughter will be a little over a month old on Halloween and is wayyy too tiny to fit in any kind of costume. Thanks for the sweet words! My sister is a lefty. So is my husband and his two best childhood friends…how weird is that? I notice it all the time because I constantly have to accommodate my hubs and sis when we go out to eat. Hahaha! You can’t sit to the left of them or you bump elbows while you’re eating. Steel Magnolias is one of my favorite movies! My dad is from the south and made us watch it all the time as kids. It’s so good. Did you hear their doing a Lifetime TV movie remake? Ugh. 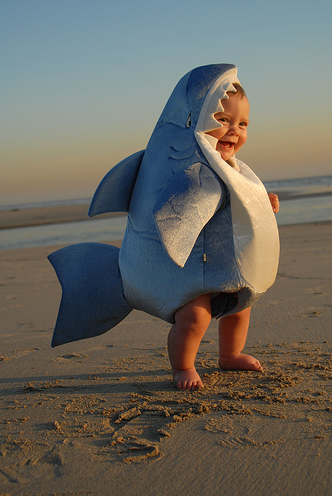 Oooh, I love the baby shark!